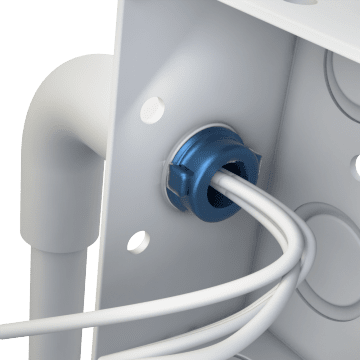 Seal vertical conduit risers where they connect to sheet metal structures or cast boxes and enclosures with these hubs. When used with a sealing compound, they help minimize the passage of hazardous gases and vapors from one portion of a conduit system to another. Typically used to connect rigid or intermediate metal conduit (RMC or IMC) coming out of the ground to an electrical enclosure, they are rated for use in hazardous locations where dust ignition or explosion are concerns.